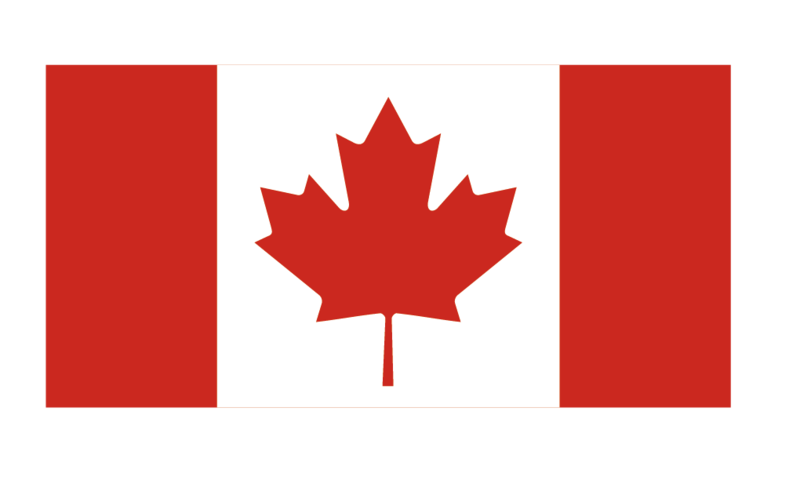 OTTAWA, Oct. 24 -- The Bank of Canada Wednesday raised its interest rate by a quarter of a percentage point to 1.75 percent, reported by Xinhua. It is as expected and it might speed up the pace of future hikes given the economy was running at almost full capacity and did not need any stimulus. The central bank, which has now lifted rates five times since July 2017, also hailed the signing of a newly agreed United States-Mexico-Canada Agreement that would reduce economic uncertainty. The raised rate is still well below the "neutral" rate of 2.5 to 3.5 percent where monetary policy is neither stimulative nor accommodative. As the U.S. economy was "especially robust," the bank boosted its estimate of third-quarter annualized Canadian economic growth to 1.8 percent from 1.5 percent. It said growth in the fourth quarter should jump to 2.3 percent. "The economy is running at its capacity and it is no longer needing stimulus. And so it's our job to prevent the thing from overheating and creating inflation pressures down the road," said Bank of Canada Governor Stephen Poloz. Three major Canadian main commercial banks - Royal Bank of Canada, Toronto-Dominion Bank and Bank of Montreal, quickly announced they were raising their prime lending rates to 3.95 percent from 3.70 percent. The central bank noted positive developments in two areas of potential risk, saying trade uncertainty in North America will diminish after the United States, Canada and Mexico agreed on a new continental trade agreement on Sept. 30. It also noted households were adjusting spending as expected in response to higher interest rates and housing market policies. 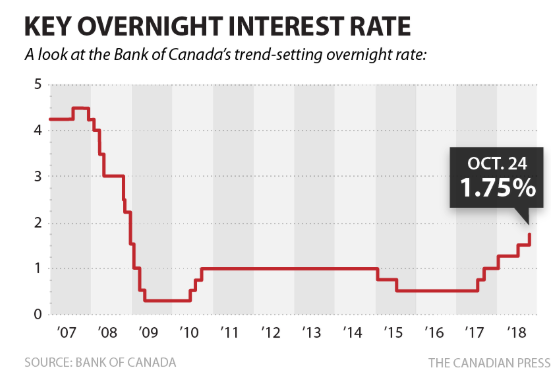 The bank has long fretted about Canadians' ability to cope with higher borrowing costs. It said overall inflation should drop in early 2019 as the effect of temporary factors fades and then remain at around 2.0 percent,the mid point of its 1-3 percent target range,through the end of 2020.